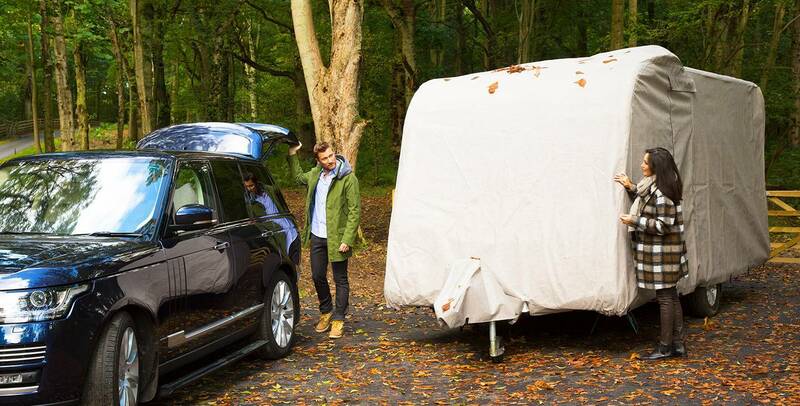 Our caravan and motorhome storage covers protect from the elements, helping maintain the condition and value of your vehicle. A caravan or motohome is a big investment, so it's essential to look after and care for it! So, until 31st August 2018, you can beat the autumn rush and save £50 on our full caravan and motorhome covers. Simply use code RUSH at the checkout, or over the phone with our sales team. Terms and conditions: Discount applies to full caravan and motorhome storage covers only and ends at midnight on 31st August 2018. Code must be provided in order to receive discount, and orders must be placed directly with Specialised Covers. Discount cannot be applied retrospectively and only applies to new orders. One discount applied per caravan or motorhome cover ordered.